KMSC Law LLP’s support of the Grande Prairie Regional Hospital Foundation can trace roots back to the very beginning. Acknowledging the need for community support of healthcare in the Grande Prairie area, our senior lawyer, Ian Kay, and a group of like-minded local leaders founded what is now the Grande Prairie Regional Hospital Foundation in 1984. Since the Board’s inception, the firm has supported the Foundation with a commitment of legal services, volunteer time and monetary donations. Lawyers of the firm have maintained a near constant presence on the Board. Past chairs and Trustees of the Foundation include Ian Kay, Michael Hussey and Jason Forbes. The tradition continues with Todd Strang sitting as a current Trustee and Treasurer. Additionally, the staff at KMSC Law have been proud contributors to the Festival of Trees since it’s inaugural year. 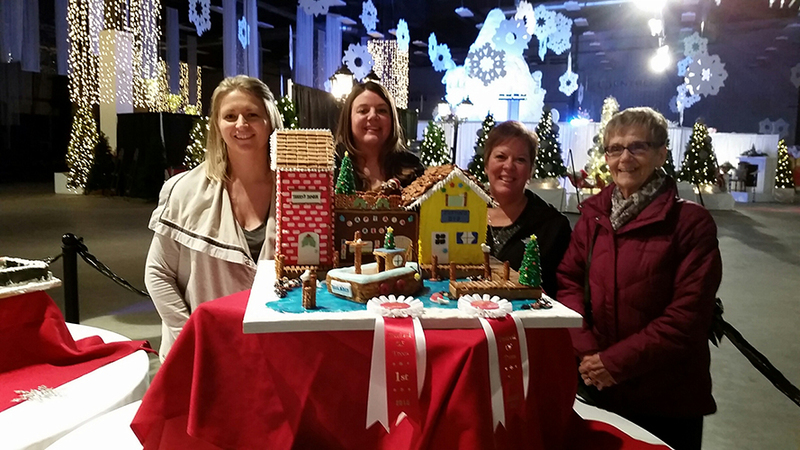 Each year the staff at KMSC spend countless hours decorating Christmas trees and gingerbread houses for auction at the festival. This year, the staff Christmas Tree captured 1st place and their gingerbread house is the proud winner of both the Judges Choice and Designers Choice awards. As with previous years, KMSC law is proud to sponsor the popular Teddy Bear Breakfast which takes place on Sunday, November 27, 2016. We are delighted to see the Breakfast has sold out again this year! As Grande Prairie’s largest and longest serving local law firm, KMSC Law is committed to its partnership with the Grande Prairie Regional Hospital Foundation to help support quality healthcare in our region. KMSC law, proud to support our community.